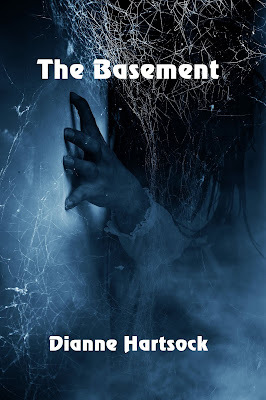 Welcome to my stop on the book blast for The Basement by Dianne Hartsock. This book blast was organized by Goddess Fish Promotions. On my stop, I have an excerpt for you. There's also a tour wide giveaway. Be sure to check out the other stops on the book blast for more excerpts and some reviews. Enjoy! Something tugged his coat sleeve. Startled, he looked down. Nothing. Dianne Hartsock will be awarding a $20 Amazon or Barnes & Noble gift card to a randomly drawn winner via Rafflecopter after the tour. To increase your chance of winning, leave a comment at a different stop each day. You can find a list of blog stops here. Good luck! Thank you for stopping in on my tour, James! Thank you so much for hosting me today, All the Ups and Douns! This book has me intrigued to say the least!! Glad you enjoyed it Dale. Thanks for coming by! Scary book cover and the book sounds interesting. The house she lived in as a child sounds very cool. The cover is certainly eye catching! Oh now this...I would have a hard time putting down at night! Looks scary! 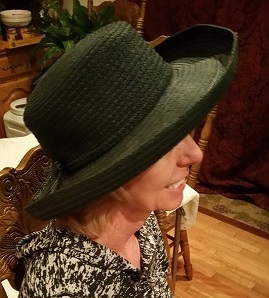 I am new to Dianne Hartsock and her work. Thanks to this blog for the intro to her work. I have really enjoyed following this book tour and look forward to checking out this book! !